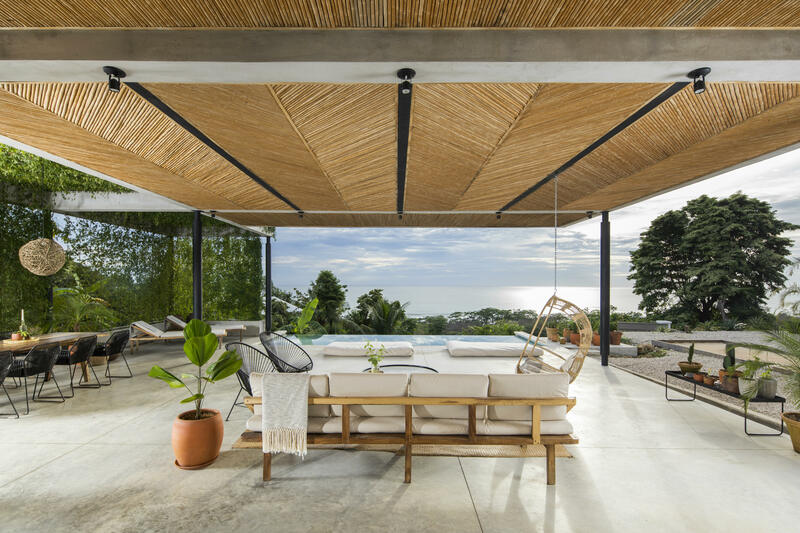 A new, boutique hotel in Santa Teresa, Costa Rica, blends modern design, traditional craftsmanship, and the natural environment. Award-winning international architectural practice, Studio Saxe, have recently revealed their latest completed project: Mint Santa Teresa. 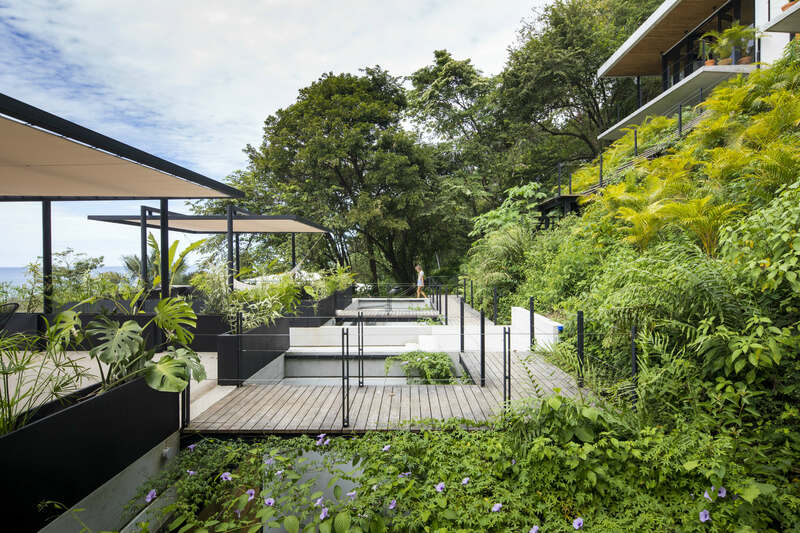 A new hotel that blends European design aesthetic with Costa Rican craftsmanship, Mint has been created for guests to be able to commune with the natural environment around the hotel, each other, and the local population in the area. The area of Santa Teresa has both a burgeoning yoga community and is a well-known surfing spot; having fallen in love with this Costa Rican paradise, the owners of Mint commissioned Studio Saxe to create their new boutique hotel, aware of the design practice’s reputation for ensuring their architectural projects harmonise with tropical landscapes.Mint Santa Teresa was also inspired by Greek architecture, minimalism and Scandinavian design. Instead of traditional guest rooms, each hotel resident occupies a pavilion-like structure that is both sheltered and private, and open to the nature surrounding the space. These rooms can be completely opened up, and lead on to a personal terrace – with an ocean view to the front and a tropical garden to the rear. Even guests’ bathrooms have been designed with an open plan layout, which gives residents the opportunity to shower and listen to the sounds of the tropical forest and crashing waves – whilst still maintaining their privacy. 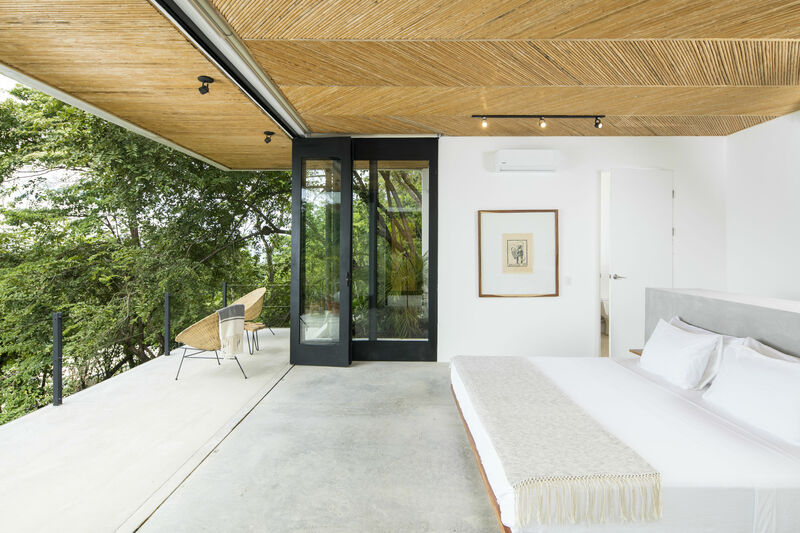 Each of the rooms also features its own rooftop terrace which has a sail for shade and is adorned with lush, tropical plants.The terraces are also furnished with rattan furniture made in Sarchi, a Costa Rican town famous for its inhabitants’ craftsmanship. In fact, throughout the project Studio Saxe have used locally sourced materials; ceilings have been made with “caña brava”, a type of grass, installed in a fishbone pattern, and local craftsmen have created custom made furniture out of local wood, using traditional techniques in modern ways. At the heart of Mint Santa Teresa is a communal lounge area; situated on the lowest level of the hotel, the lounge area includes a sunset bar and a luxurious infinity pool. Apart from a wall of plants on one side, the lounge is open on all sides; this living wall creates a relaxed, secluded space for guests whilst maintaining the natural, open setting. In the mornings, breakfast is eaten at the lounge’s communal table, which then becomes a space for sharing stories over drinks as the sun sets. Acting as a meeting space for guests, the hotel’s owners, and locals in the area, the lounge shows the way that Mint Santa Teresa is part of a new, inclusive form of tourism. Guests can experience their destination, learn more about it, and also understand the locals’ lifestyles – all while enjoying the beauty of the natural environment around them.